Commercial and residential properties since 1953. The Nelson family is dedicated to the health and vitality of Waterloo, Iowa and the Cedar Valley. 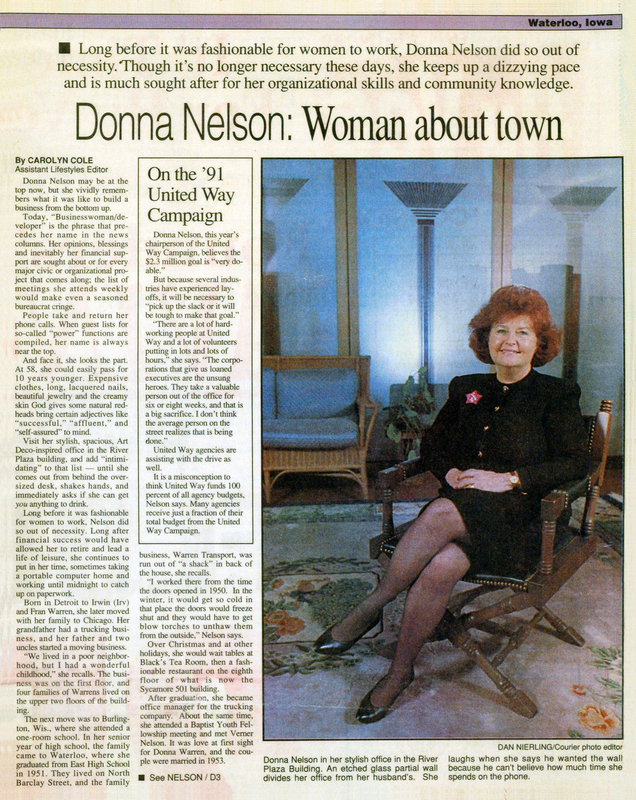 Nelson Properties is a family owned and operated business. 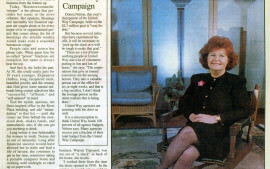 Family members working within the business are Vern Nelson Sr. and Donna L. Nelson, their son, Vern Nelson Jr., Jody Nelson, and Grandson, Vern Nelson III, their daughter, Elizabeth O’Malley and her husband, David. Our grandchildren even help with small tasks. Our family is dedicated to the health and vitality of Waterloo, Iowa and the Cedar Valley. Early in our careers we learned from Lloyds of London, who visited our city, that when the city center dies, the decay creeps out and affects the entire city. This changed our lives and the direction of our real estate holdings. 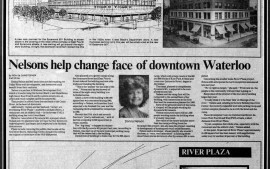 From that day forward, we focused on downtown and its revival. Our interest in Historic Preservation and saving valuable farmland added to our dedication. Our interests became one, as most of the grand old buildings are located in our City Center. We were fortunate in that our children and grandchildren were also interested in the same goals and want to follow through with our plan. The restoration of the City Center is part of our business plan and also our employee’s manual. 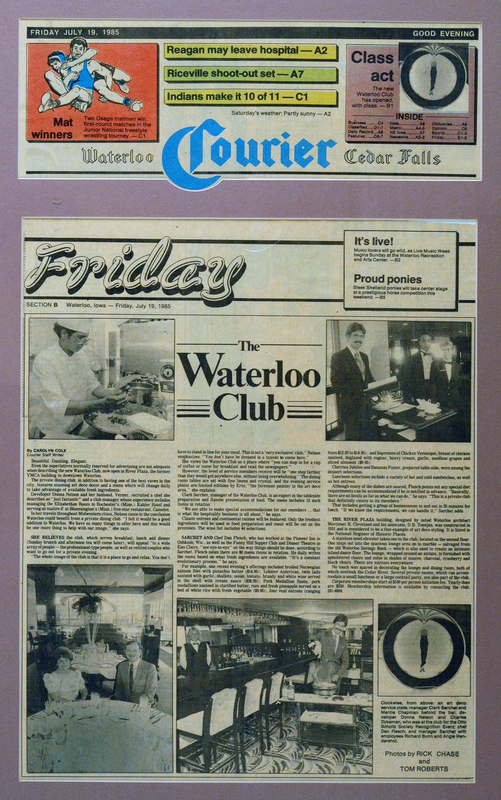 The Black Hawk Fruit Company Warehouse was our first major project in downtown Waterloo in 1977. 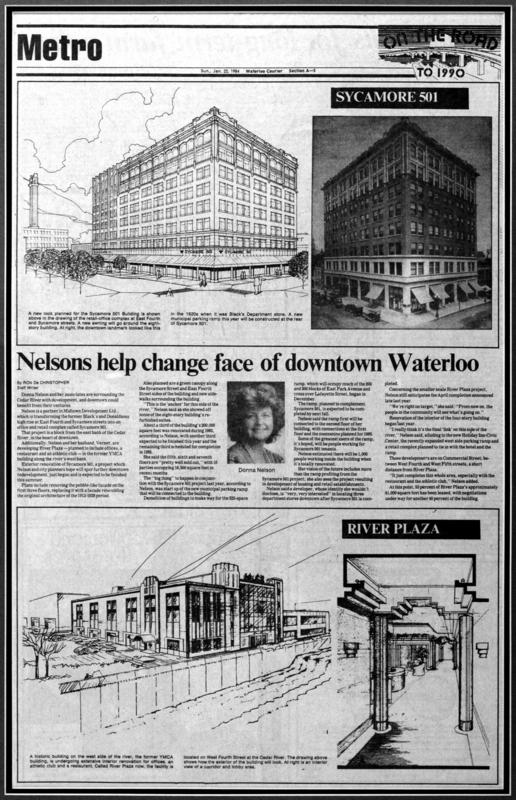 The Nelson’s are major downtown developers doing business as Nelson Properties. We have experience in both commercial office space and residential property. 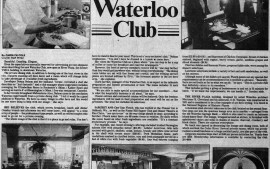 We have been in business since 1953 in Waterloo, Iowa. We own several parcels in downtown Waterloo. The Nelson Family believes that a downtown represents the face of the city and that people from other areas judge the entire community by its downtown. The Nelson’s are major investors in developing and restoring historic buildings for commercial and residential use. Our corporate office is in the Black’s Building, 501 Sycamore St., Suite 710, Waterloo, Iowa, and provides on-site management and full-time maintenance. Our interest in historic preservation and our commitment to downtown Waterloo begins. 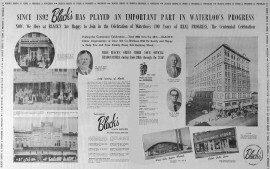 The Black Hawk Fruit Company Warehouse was our first major project in downtown Waterloo. The Nelson's purchased this freight depot with restoration in mind and to save it from the wrecking ball. 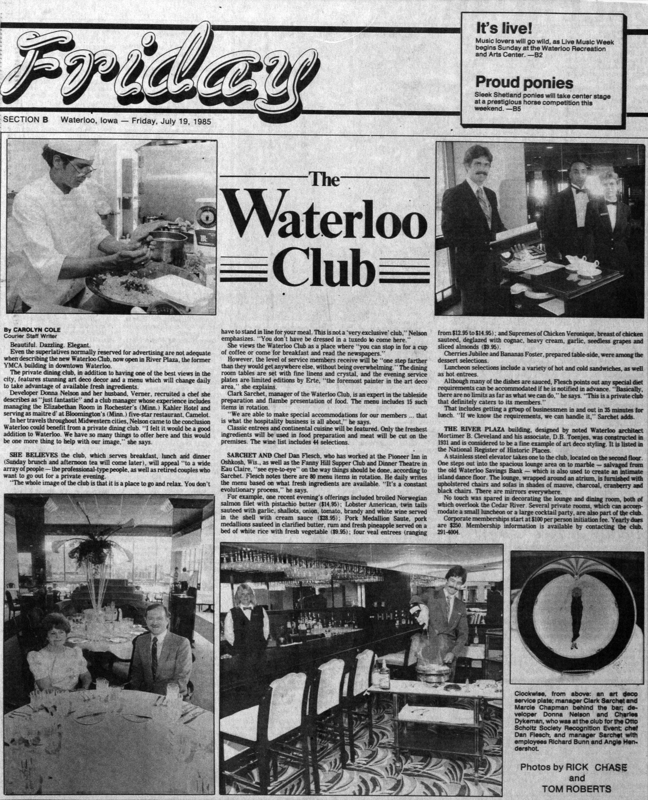 Because of the popularity of this project, many other people have invested in downtown Waterloo. This old YMCA was purchased by the Nelson's and has since been through a $3.5 million dollar renovation. 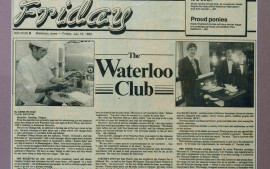 The Winterbottom Building put Waterloo on the map with the current trend in urban housing.